Interstate moving companies and brokers should regularly review their operations to ensure full compliance with the safety, economic, and consumer protection regulations. It is important that moving company operators and their staff receive regular training and legal compliance updates. This legal guide provides general legal information relating to various topics of interest to moving companies and brokers and can assist each in taking proactive steps to operate in full compliance with the governing federal regulations. 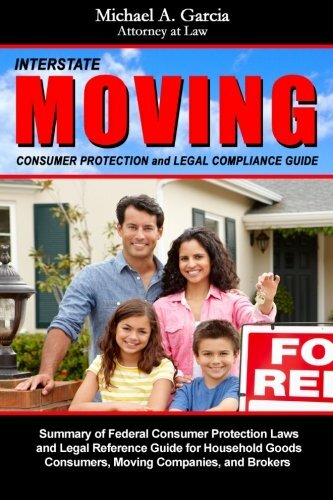 INTERSTATE MOVING: Consumer guide to hiring a moving company and legal reference manual for moving companies. "Understand the law, enforce your rights, and protect your property." Will my property be weighed? How are final charges calculated? What am I not allowed to move? Can I sue my moving company? 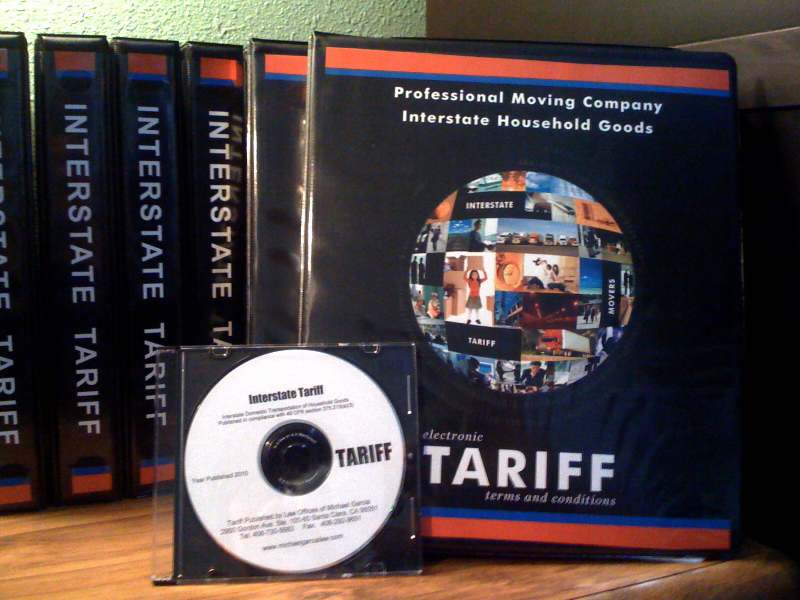 What is a moving company tariff ? How must a motor carrier use a tariff? How may a motor carrier publish a tariff? Can tariff prices be discounted? What are the penalties for tariff violations? Carrier liability for agent violates. The Law Offices of Michael Garcia specializes in interstate and intrastate transportation law and the representation of household goods moving companies and consumers in actions against moving companies. His practice focuses on regulatory compliance and training, tariff and contract requirements, and consumer protection laws. Mr. Garcia's practice has a strong emphasis on training in order to avoid litigation and regulatory actions by educating moving companies to operate in compliance with the law and to protect consumers. Moving company representation: Mr. Garcia's regulatory compliance practice includes training, drafting of shipping documents (bill of lading, order for service, binding estimate, non-binding estimate, etc.). Mr. Garcia's firm publishes custom interstate moving company tariffs in compliance with FMCSA and STB regulations. 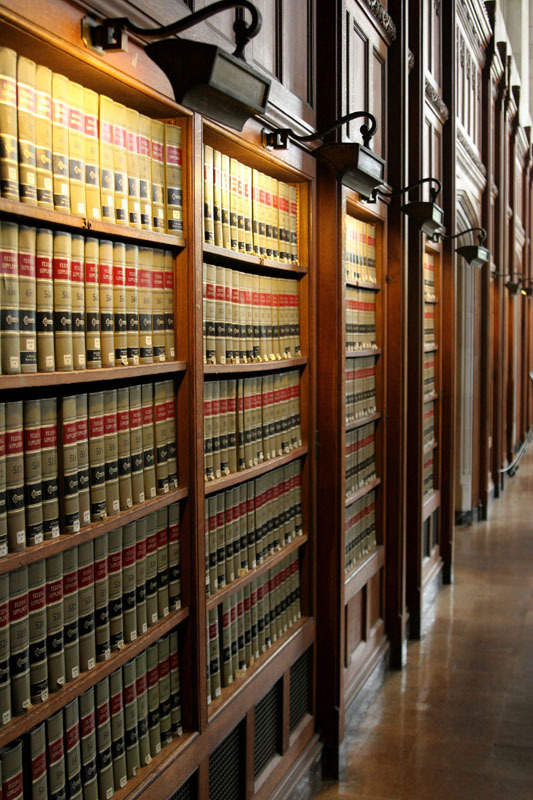 Mr. Garcia's firm also represents moving companies in regulatory actions and civil lawsuits against moving companies. Consumer representation: Mr. Garcia's represents consumers in lawsuits against moving companies and in arbitration. Lawsuits against moving companies may include damages to property, breach of contract, tariff or regulatory violations, and hostage loads. Mr. Garcia is admitted to practice before all state courts in California; and the United States District Court Northern District of California. He frequently represents motor carriers in administrative actions before the United States DOT FMCSA Eastern, Southern, Midwestern, and Western Service Centers. The information contained on this website is designed for informational purposes only. Nothing on this website is designed or intended to constitute legal advice. Federal, state, and local laws and regulations governing the moving industry change frequently and may be interpreted differently by different people. If you need specific legal advice you should consult Mr. Garcia directly or a representative from the US DOT. • Are visual in-home estimates required? • The Myth of the “Binding” Estimate. • May Consumers Sign blank or incomplete documents? • May a Mover Give a Discount for Services ? • Is charging by cubic feet legal? • Is the Weight Certificate Valid? • How Long Must a Mover Keep Records? • Truth in Advertising Requirements. • WARNING: $25,000 Violation for Inactive Licenses. • FMCSA Hours of Service Regulations.